I've never been to Indiana Beach, my my kids' church group is going next week and my husband is going along since my kiddos are little. 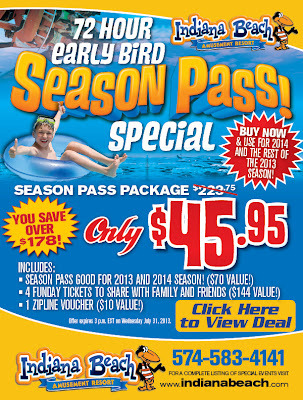 Today, Wednesday, 7/31 until 3pm ONLY they're running a deal for $45.95 for a season pass for the rest of 2013 and all of 2014. 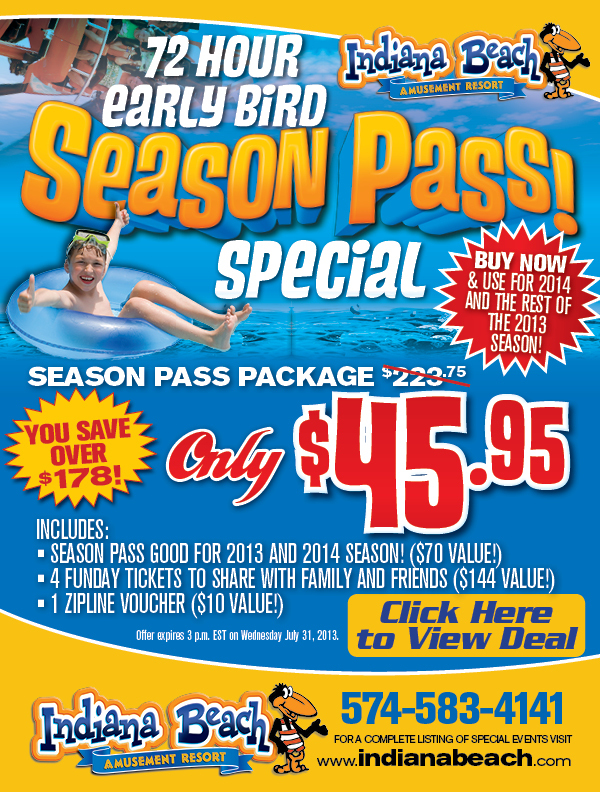 Included with the pass are 4 day passes for 2014. This is a GREAT deal, as it will be $35.95 for a ONE day pass for my husband, and this way he gets to go this year and we'll ALL get to go next year with his 4 extra day passes for 2014 (which include the rides and the waterpark). I read reviews on YELP, and it sounds like this is a quaint old-school amusement park, and I think my kiddos will be perfect ages for the next few years to enjoy.